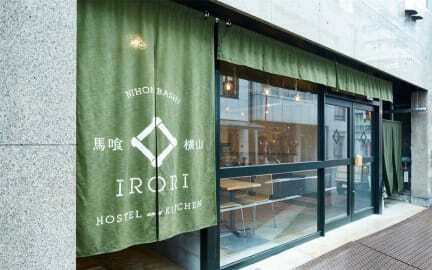 IRORI Nihonbashi Hostel and Kitchen, Tokio, Japonia : Rezerwuj teraz! 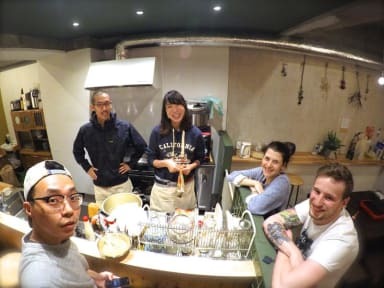 IRORI Nihonbashi Hostel and Kitchen is your relaxed, cozy Tokyo hostel in descent size (capacity: 70+ guests) that excels at creating warm, friendly atmosphere within guests. We have enough space for you to enjoy your alone time, and two communal lounges for socializing. If you want to be able to relax and feel at home, but also meet and be friends with your fellow travelers as well as some locals, IRORI is the choice for you. What is more, there are 2 subway and 1 JR stations only 3 minutes away from our hostel, making it very convenient to reach most of the sightseeing spots in and around Tokyo. Direct access to both Narita and Haneda airpots is a big plus! We are also jam packed with amenities such as free Wifi, laundry facilities, no curfew, 24 hour keyless entry, express check-out, luggage storage service, lockers in all dorm rooms, two communal lounges, rooftop terrace, traditional breakfast, free tea and coffee, local drinks, and best of all, 1) IRORI fireplace and 2) large shared kitchen space in our 1st floor lounge. 1) IRORI means traditional Japanese hearth that is used for heating and cooking. In our lounge space, we have two IRORI and you can enjoy grilling fish, vegetables, mushrooms, rice cakes, marshmallows, etc. We offer traditional Japanese breakfast for only 500 yen, which includes a fish grilled in front of you on IRORI grill. 2) We also have fully equipped and large shared kitchen space for you to cook your comfort food and/or attempt to cook Japanese food. IRORI and the shared kitchen spaces are in the center of our lounge space, and everyday our guests from all over the world gather around them, creating homey and friendly atmosphere. Good food brings people together! Available kitchen essentials for all your cooking desires include: dishes, cooking utensils, microwave, fridge, freezer, oven, takoyaki maker, etc.